Title: I am Martin Luther King, Jr. I am Martin Luther King, Jr. is part of the phenomenal and educational Ordinary People Change the World book series about historical personages for children. 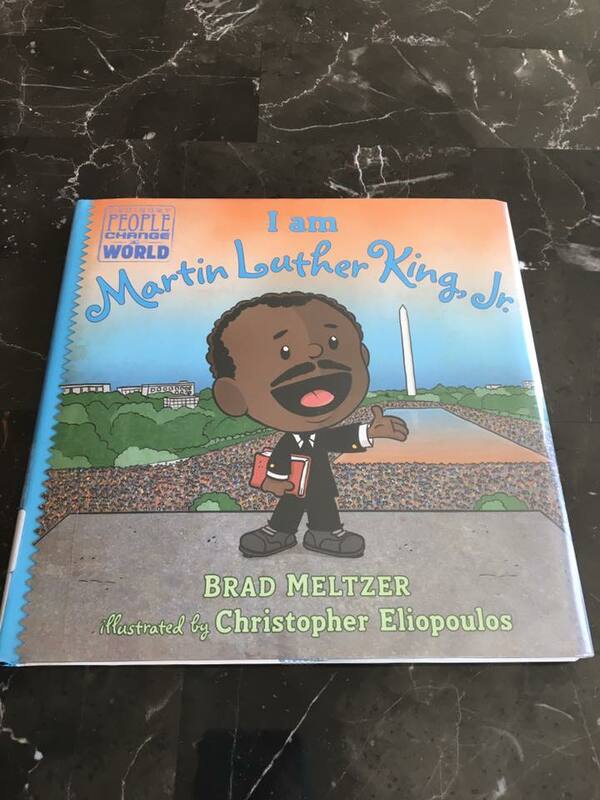 This New York Times Bestselling picture book about the life of Martin Luther King Jr. was written by Brad Meltzer and illustrated by Christopher Eliopoulos. I am Martin Luther King, Jr. introduces elementary children to the life one of the best civil-rights activist in the world with a funny story about how Martin got into many accidents as a kid. Martin kept getting up no matter what happened. Martin also liked books a lot. He couldn’t imagine at the time the significant role worlds would play in his life. Martin started to understand the meaning of racism and prejudice since an early age. He couldn’t play anymore with a white friend when school started because schools were segregated. He also saw that schools for white kids were better than those for black kids. As he grew older, he noticed that bathrooms, shops, and buses were segregated too. Martin got into college when he was just 15 years old because he was so smart. He read about Henry David Thoreau's idea of "civil disobedience" and Mahatma Gandhi's philosophy of "nonviolent resistance." These ideologies stayed with him for the rest of his life. Martin became a leader of the Civil Rights Movement after he organized a boycott of buses in Alabama inspired by Rosa Parks. He started giving incredible speeches that inspired thousands of people. Peaceful protests spread around the country. Even though thousands of people starting doing peaceful protests, it was not easy for Martin. He was arrested many times. One time he wrote his famous Letter from Birmingham Jail, which millions of people have read. Martin's message of integration inspired even little kids. About 2,500 kids participated in what is known as the Children's Crusade. Unfortunately, they were attacked with water hoses and dogs. After seeing this on TV, the nation woke up and started supporting much more the movement. During a massive march to Washington, D.C. on August 28, 1963, Martin gave his most important speech, "I Have a Dream." 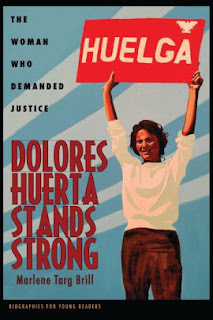 New laws for civil rights were passed by the government after that amazing march. The work, however, was not done. Martin and his supporters marched 54 miles from Selma to Montgomery in Alabama. They peacefully protested in favor of changing the laws that prevented black people from voting. The police tried to stopped them with violent actions. They kept trying. President Johnson sent troops to protect them during their third attempt on March 21, 1965. This time they reached Montgomery. 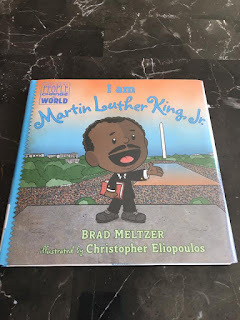 I am Martin Luther King, Jr. written by Brad Meltzer and illustrated by Christopher Eliopoulos is an excellent book to introduce elementary children to the life of Martin Luther King Jr. The text is simple, age-appropriate, and full of historical information. The author made a smart move by incorporating both prose and graphic bubble dialogue because it makes the story more interesting for the little readers. The cartoonesque illustrations also do the trick. The story also gives children the timeless lesson of never giving up when something is not right. If they want change in the world, they must do something about it. Resorting to violence is not the answer. As the story shows, Martin accomplished great things with nonviolent protests, marches, and inspiring speeches. This post contains affiliate links. If you click on the link and make a purchase, I will receive a small monetary compensation at no additional cost to you. Thank you! 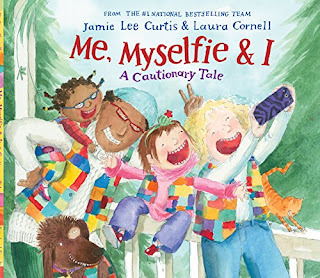 I love the cover of this book but most importantly how they wrote this book for elementary students. I feel this is the best time for children to learn about this important time in America history. Thank you for this review!